This collection of papers has been developed by an interdisciplinary group of contributors. 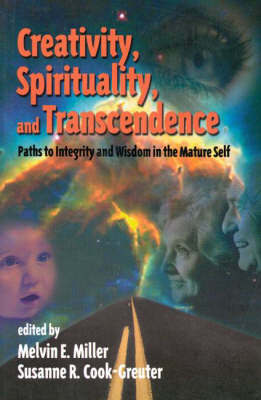 They present a variety of new perspectives on creativity, spirituality, and transcendence as experienced in adulthood. The discussions in this volume, address the interplay of variables from theoretical, experimental, and clinical vantage points. This book is written for academic and clinical audiences, as well as for those who are interested in-and wrestle with-unexpressed aspects of their own creativity and spiritual yearnings. Unlike the current cognitive trend in creativity research that seeks rational and biological explanations for human phenomena, these essays give consideration to the power of extraordinary sources of inspiration. The research and theoretically based articles presented make a captivating collection that challenges our thinking about what it means to be a creative adult striving toward personal integrity and wisdom at the dawn of the 21st century.